Kellan MacInnes has been climbing the mountains of Scotland since he was a teenager. For the past 25 years he has lived with HIV/AIDS. His first book Caleb’s List (Luath Press 2013) was acclaimed by readers, reviewers and mountaineers alike. 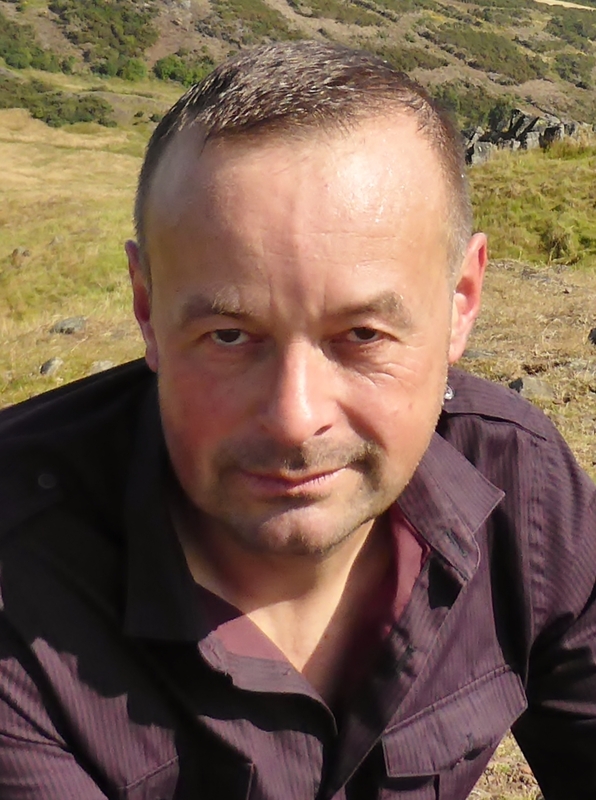 Caleb’s List went on to be a best seller and as well as being entered for the Boardman Tasker Prize for mountain literature it was shortlisted for the 2013 Saltire Society Scottish First Book Award, Scotland’s most prestigious literary prize. Kellan’s first novel The Making of Mickey Bell was published by Sandstone Press on 15 September 2016. As the years passed and treatments improved, Kellan was able to return to work; first as a volunteer befriender and fundraiser for one of Scotland’s leading HIV charities, then later as a painter and decorator, a life coach, a bike tour guide and a supermarket delivery driver. In 2012 Kellan was awarded a grant by Creative Scotland to help research his next book and to fulfil his ambition to become a writer. Kellan MacInnes was short listed for the 2013 Jessie Kesson Fellowship and has appeared at the Edinburgh International Book Festival, the Edinburgh Festival Fringe, Tradfest, the Portobello Book Festival, Midfest, Previously Scotland’s History Festival, Stockfest and AyeWrite. As well as writing for Scottish Field, The Sunday Mail, Walk magazine and The Scottish Mountaineer Kellan has been featured in The Scotsman and the Inverness Courier and was interviewed for and took part in the making of a ninety minute long special edition of the BBC Radio Scotland programme Out of Doors, on Victorian mountaineer and naturalist Caleb George Cash, the subject of his book Caleb’s List. Kellan was the judge for the 2018 Edinburgh Writers’ Club non-fiction article competition. As well as speaking to the Milngavie Mountaineering Club, the Grampian Hillwalking Club, the Ochils Mountaineering Club and the Cairngorm Club, Kellan has appeared at the Borders Walking Festival. He has also spoken at events organised by the Colinton Lit, Edinburgh City Libraries, the Highland Literary Salon, the National Collective, LEAP Scotland, Friends of the Pentlands and the Arran Antiquarians. Kellan has been interviewed for the popular UK Hillwalking.com website and a copy of Caleb’s List was exhibited in Scottish Publishing’s Leafing Through Natural Scotland exhibition. Kellan MacInnes lives in Edinburgh in one of the streets at the foot of Arthur’s Seat.